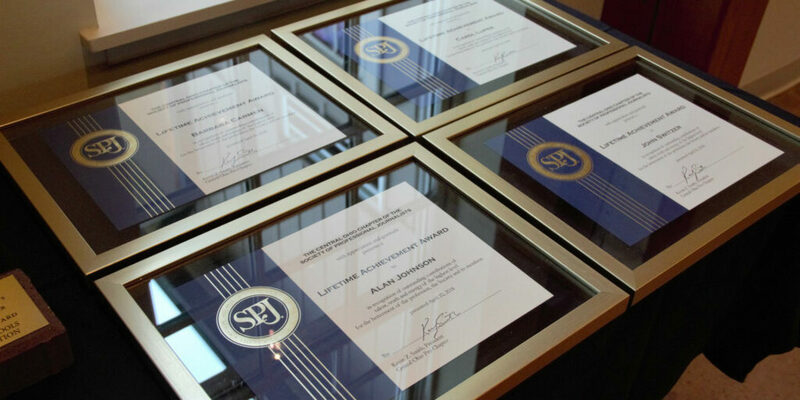 Central Ohio SPJ celebrates its 70th annual Founders’ Day on Wednesday, April 17 from 5:30 – 7:30 p.m. Join us for an evening of professional camaraderie and the celebration of good journalism at the Amelito Mirolo Barn in Upper Arlington. Social hour beings at 5:30 p.m. with an open bar and hor d’oeuvres. Programming begins at 6:30 p.m. A silent auction will also be held with proceeds to benefit the chapter’s numerous scholarships. When: Wednesday, April 17 – 5:30 – 7:30 p.m.